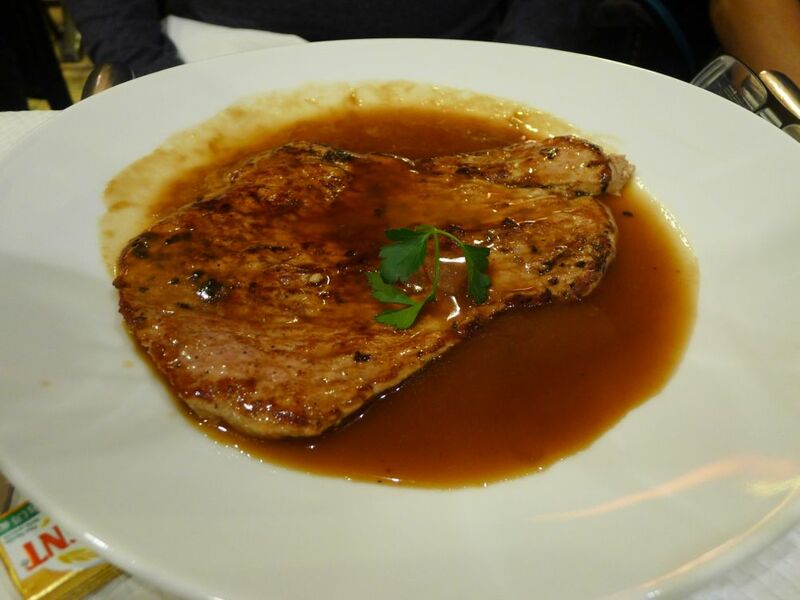 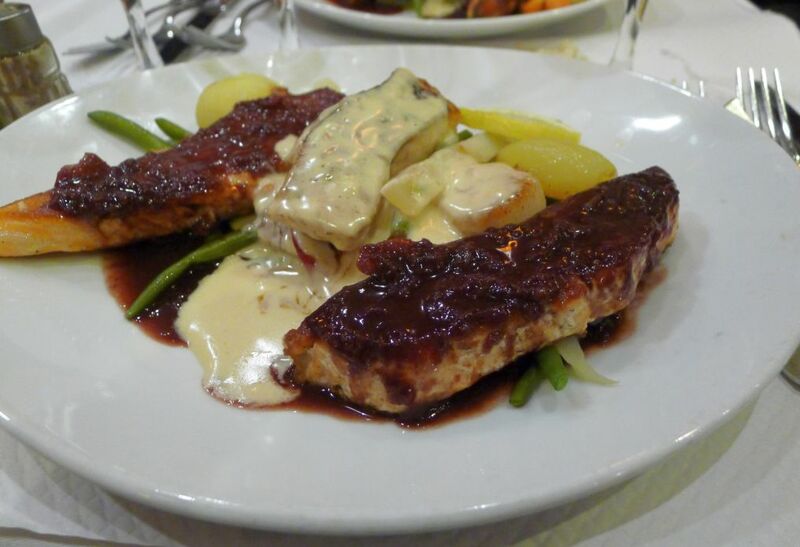 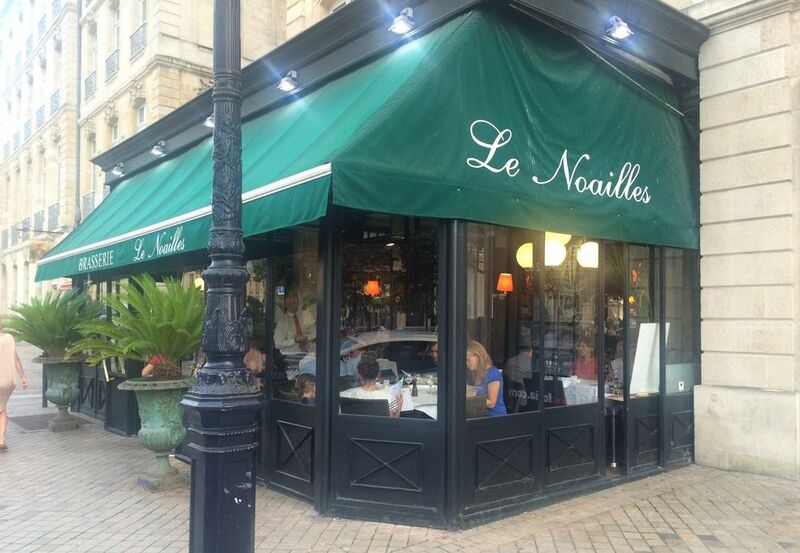 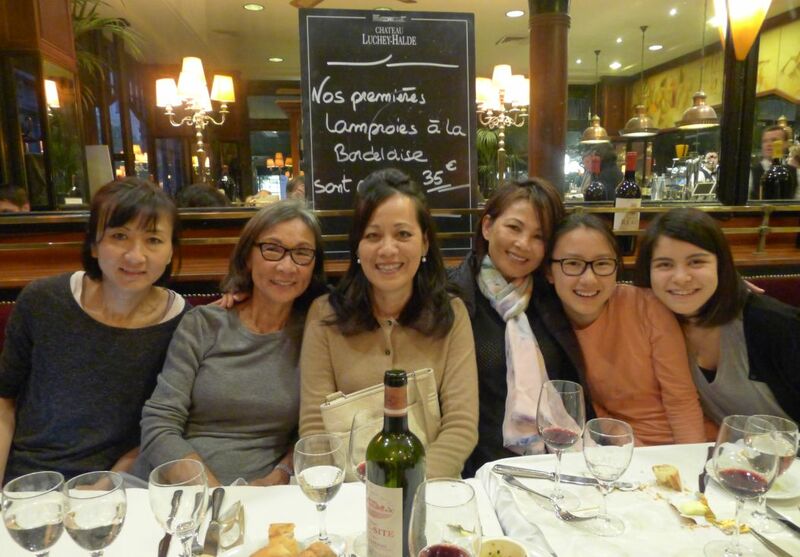 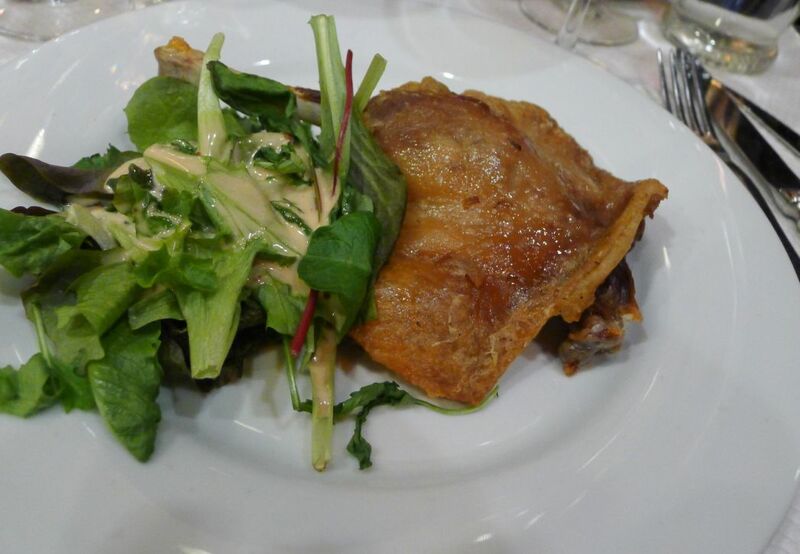 We asked our landlady to suggest a traditional French bistro and she recommended Le Noailles located just a few steps from the apartment we rented in Bordeaux. 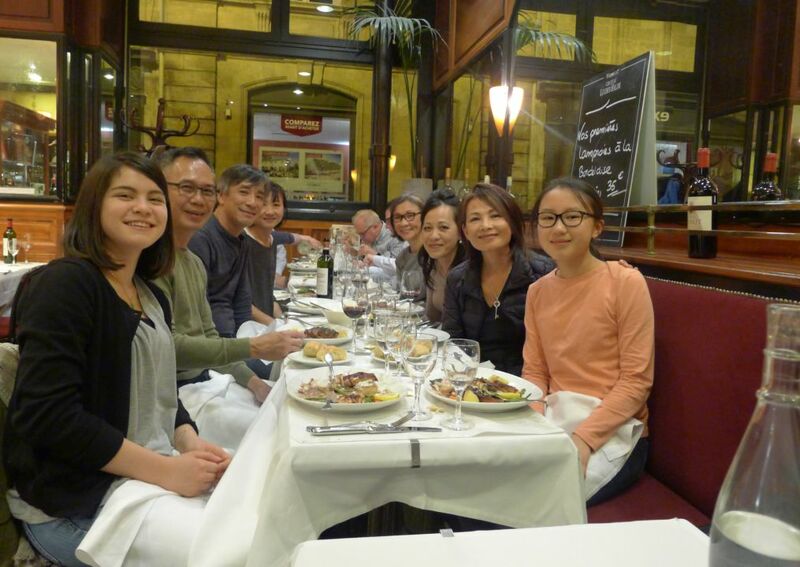 Tonight we invited Hoa's family to join us for dinner. 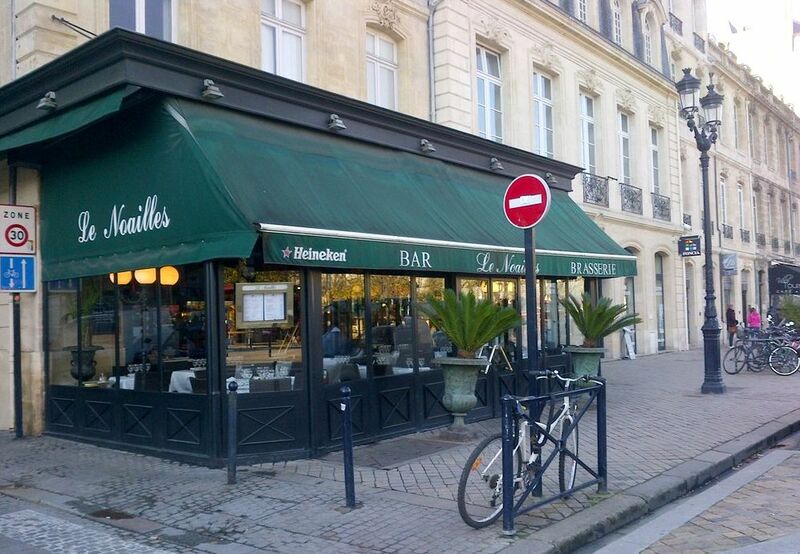 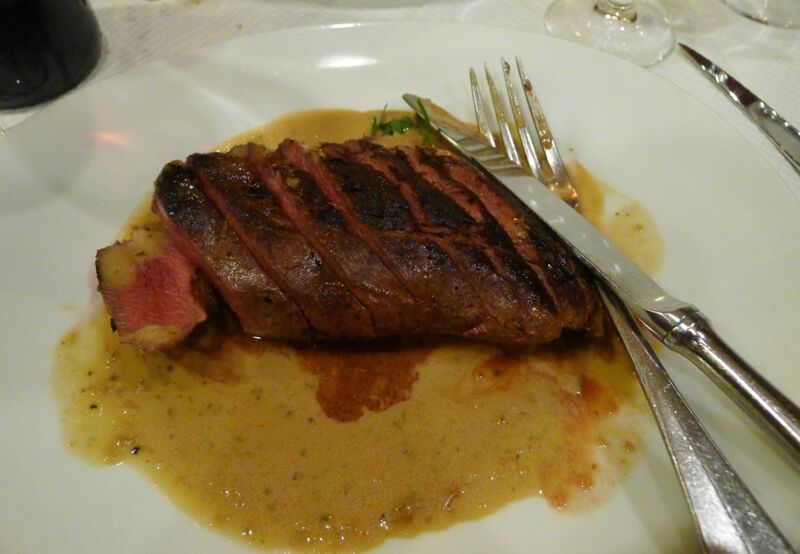 Brasserie Le Noailles is regarded as "the most Parisian of the Bordeaux brasseries". 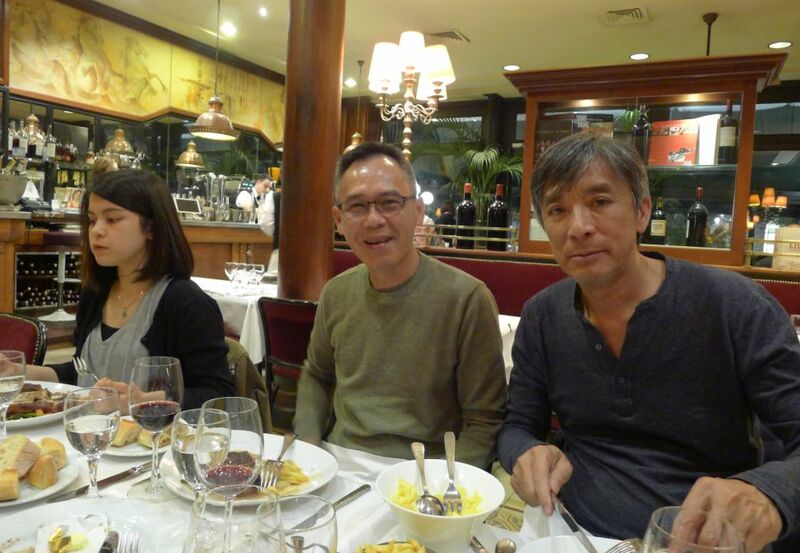 Ninh is joining us in this picture. 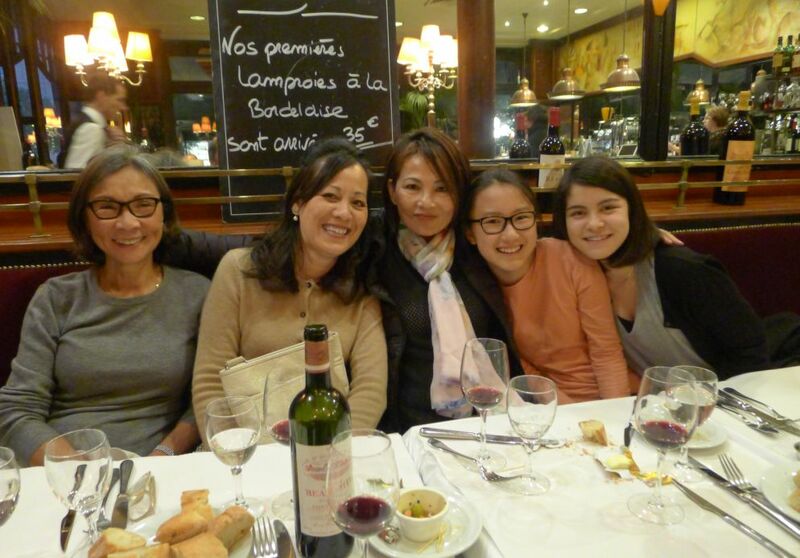 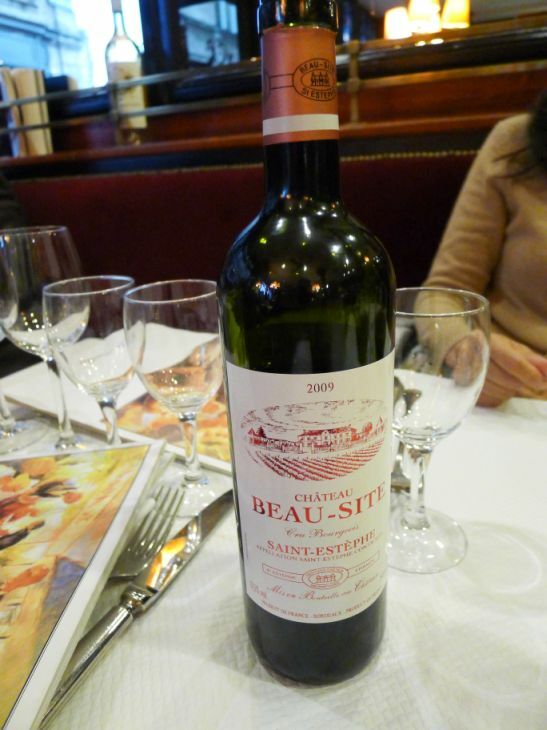 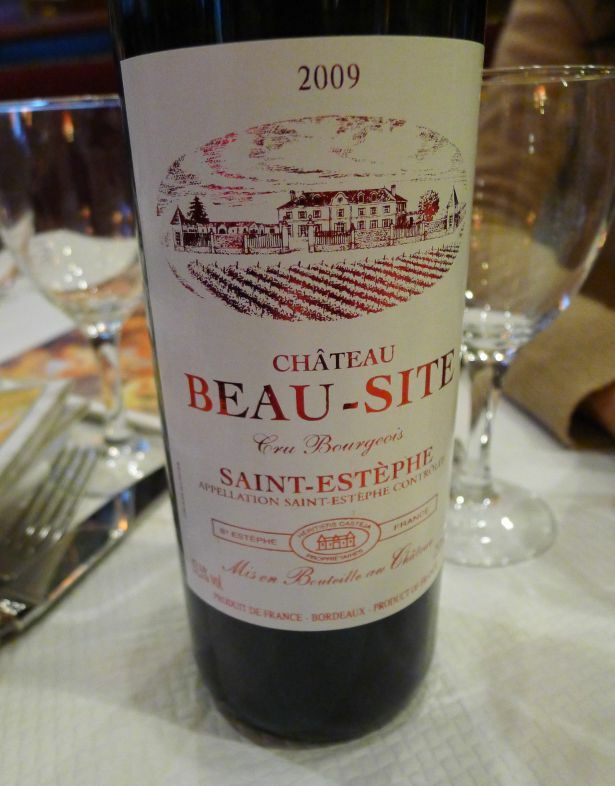 Minh and Hoa selected a bottle of Chateau Beau site Saint Estephe 2009 - excellent wine! 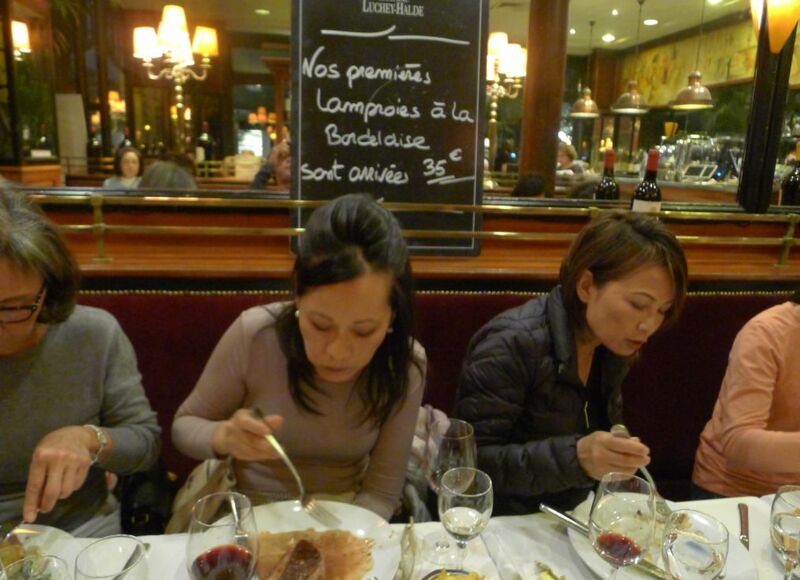 Loan, Minh and Hoa enjoying their dinner. 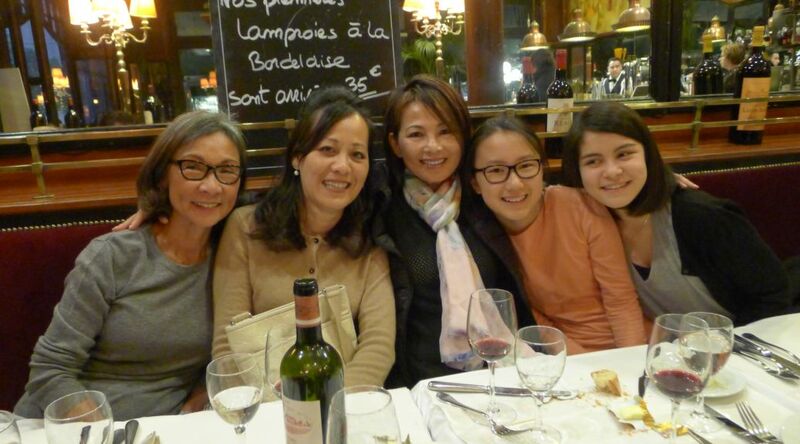 Right: Emmie, Loan, Me, and chi Be. 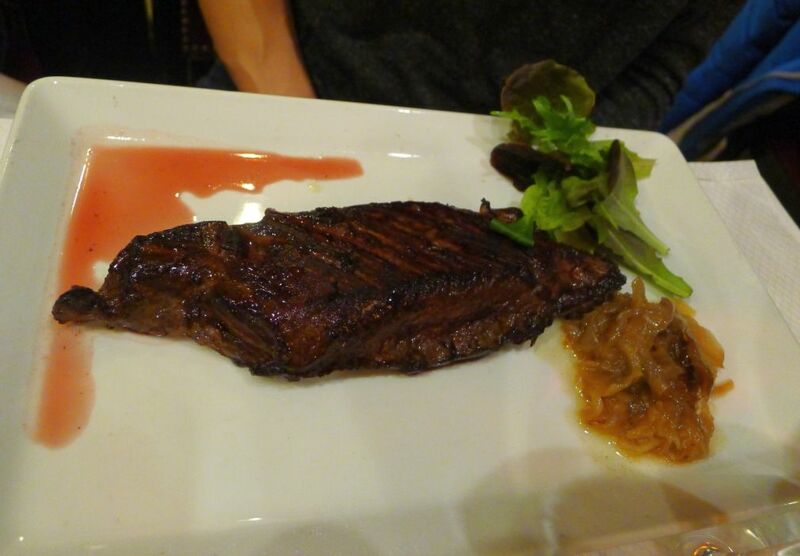 Food here was just okay, nothing exceptional. 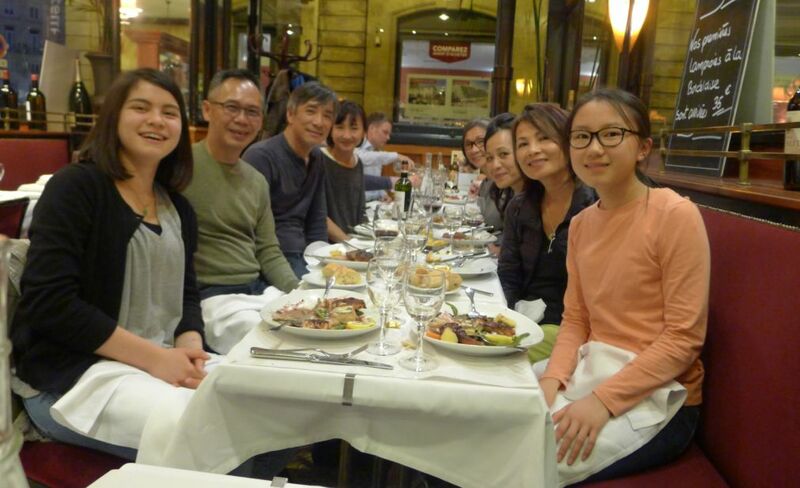 Okay ambiance but we were happy to dine with family.